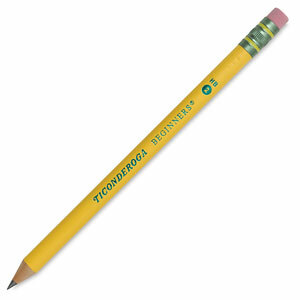 These large, 3/8" (10 mm) diameter pencils fit little fingers. They're school-approved, designed especially to help young children improve their printing and handwriting. Made of real wood, the Dixon Beginner's Pencil sharpens easily. Box of 12 unsharpened pencils.